As you would expect, the Z FLX Thrasher has the same feel and all of the outstanding traits of the Elite Z Thrasher, but there are a few significant differences. The Z FLX Thrasher is extremely gummy. Some Z FLX molds, such as the Undertaker, are only moderately softer, but the Thrasher in Z FLX is gummier than most other Z FLX molds I’ve thrown. 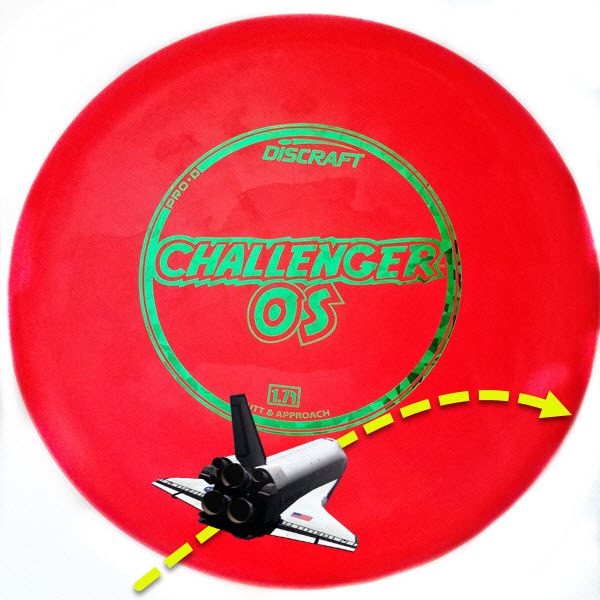 This does have advantages such as an incredibly smooth release, very little bounce and greatly reduced roll. 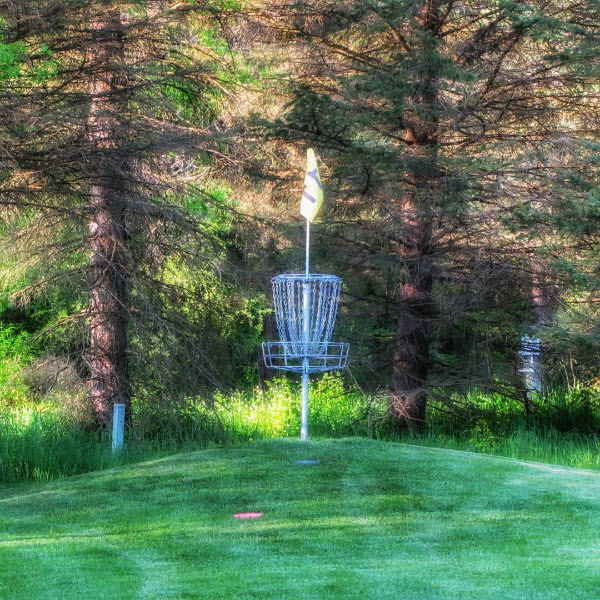 But the disadvantages include lower torque resistance and a slightly less consistent release when using a power grip. Although, I noticed that throws with a fan grip were still consistent. Keep in mind that in cold temperatures the plastic will condense and will not be nearly as gummy. 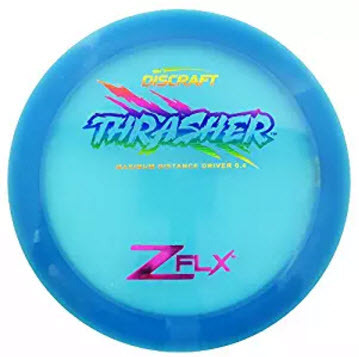 The Z FLX Thrasher is noticeably more understable than its Elite Z counterpart. In warm weather this was difficult because the Thrasher mold is already quite understable. 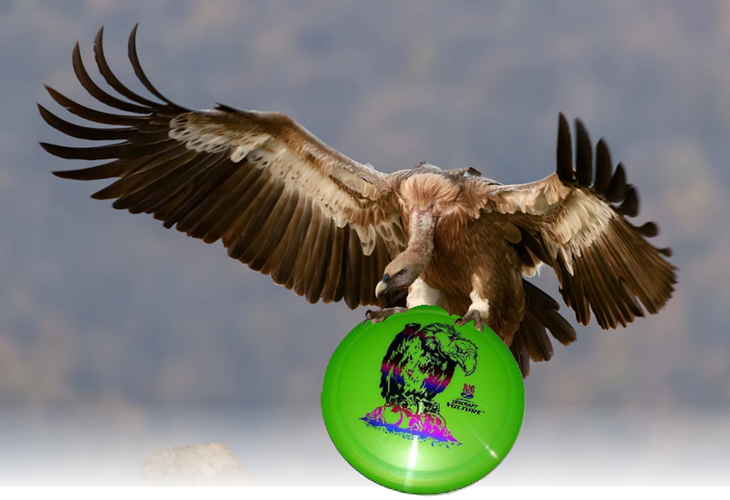 The Z FLX Thrasher turned too much for me to comfortably control on most throws over 75% even when dropping the angle. This turn is more controllable with a fan grip as I mentioned above, but it still turns fairly heavily. 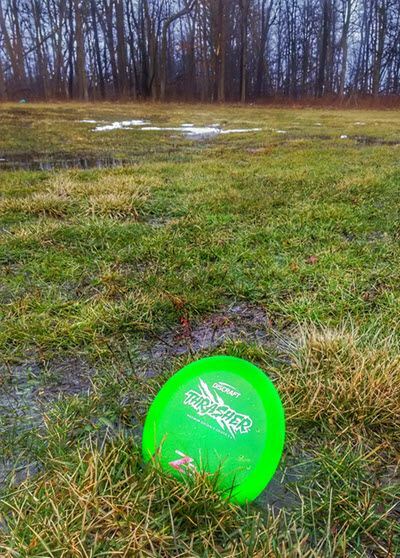 In temperatures below 40 the turn was more controllable and dropping below 30 the Z FLX plastic condensed nicely and the disc performed much better. I didn’t notice any difference in how the different plastics handled the wind, so the Z FLX Thrasher should be a great winter option. I found that the Z FLX Thrasher has just as much glide as the original mold, maybe even more. With approximately 50% power I can easily throw this driver 325-330 feet. I also found that the malleable plastic allowed me to throw extremely controlled rollers. The roll was reduced so I didn’t have as much distance on my roller shots, but the roll was pure to its path and didn’t bounce out of control. 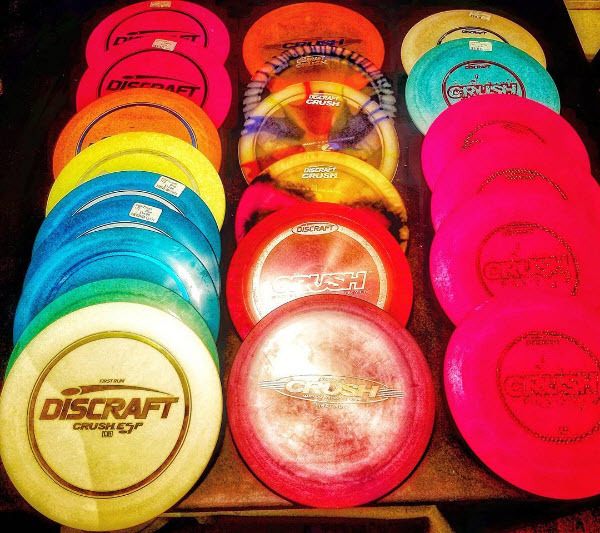 In the Elite Z Thrasher review we mentioned that there are many uses for this mold for a variety of players. 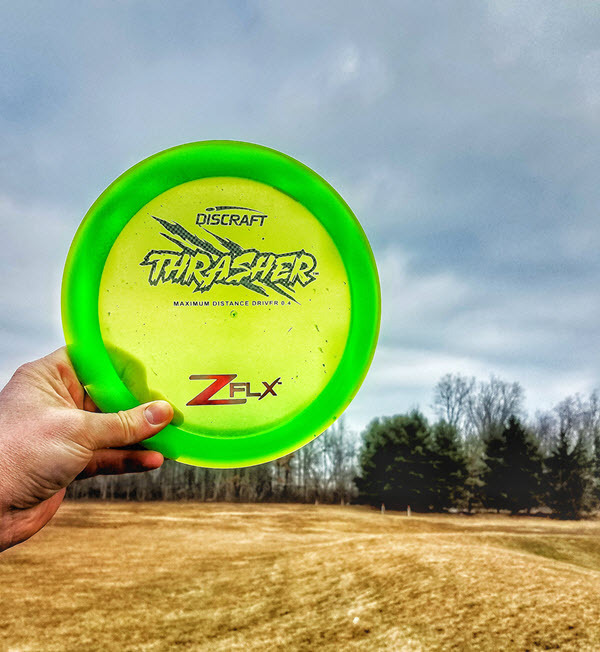 I feel that the Z FLX Thrasher is more of a niche disc and when used properly it will hold high value. 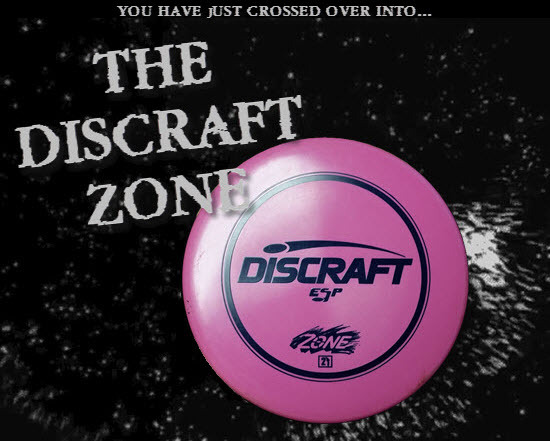 It should be an excellent for beginners looking for effortless distance and will be a good cold weather option for more experienced players who bag a Z Thrasher in warmer months. Ready to purchase a Z FLX Thrasher? Do you want to WIN a Z FLX Thrasher? Visit us on Facebook to see the rules! Contest runs through 2/26/17.